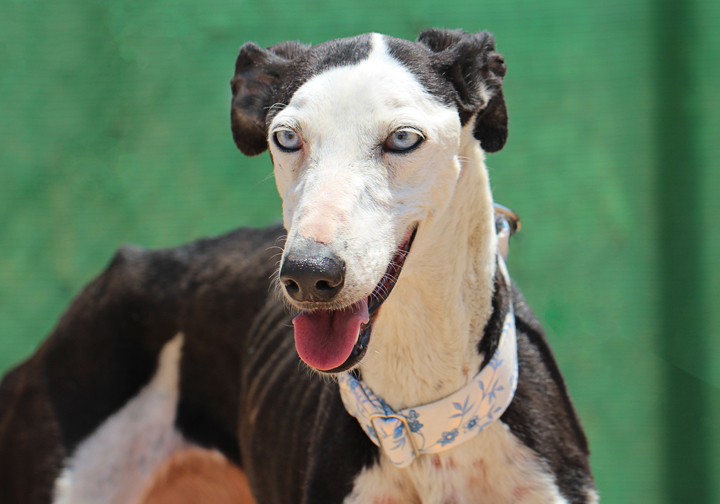 Stunning Luna with pale blue eyes was rescued from a vet in Toledo who had the instructions to put her to sleep. We discovered she only has three toes on one foot so at some point she’s had an operation. She’s approximately eight years old although you wouldn’t know it. She must have a good cream. A lovely confident waggly-tailed girl, Luna is looking for her forever home! Yes, I am interesting in sponsoring or adopting Luna!